The onscreen chemistry is still oh so real. 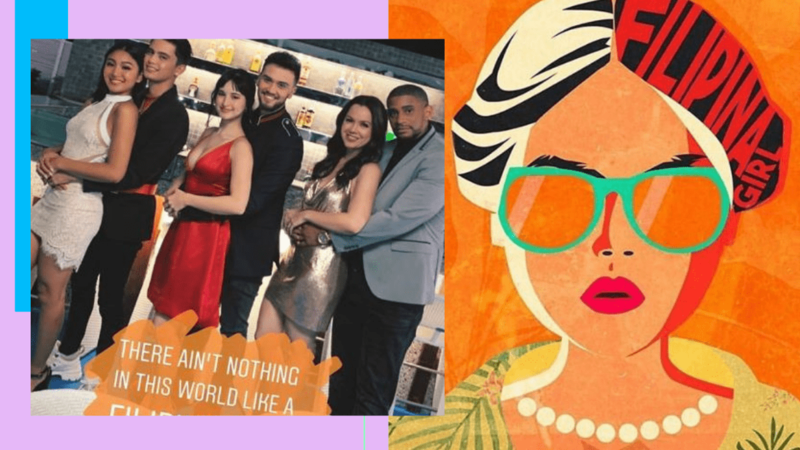 Viva Records just dropped the music video for Billy Crawford's latest song, "Filipina Girl", a collaboration project with music producer Marcus Davis, who wrote the original version of the song. It's no secret that the song is dedicated to the Filipina loves of the three song collaborators' lives, Coleen Garcia, Nadine Lustre, and Fil-Am R&B singer-songwriter Amber Davis. But we could not prepare ourselves for the kilig overload just seeing Billy and Coleen, James and Nadine together again onscreen! While Coleen has been busy working with her new talent management group Viva Artists Agency, we haven't seen Billy and her work together again since being co-hosts on It's Showtime! The last time we saw James and Nadine together onscreen—apart from their "Summer" music video, that is—was for the movie Never Not Love You. No matter how simple and straightforward the scenes were in the music video, with the three couples shown enjoying a typical evening date, it's definitely refreshing to see the familiar visual of the real-life couples together. No other way but to watch the music video for yourself! You're welcome.